The National Working Committee (NWC) of the Peoples Democratic Party (PDP) on Thursday, April 11, said that its presidential candidate, Atiku Abubakar, will not relent in his effort to take back his mandate at the election tribunal. 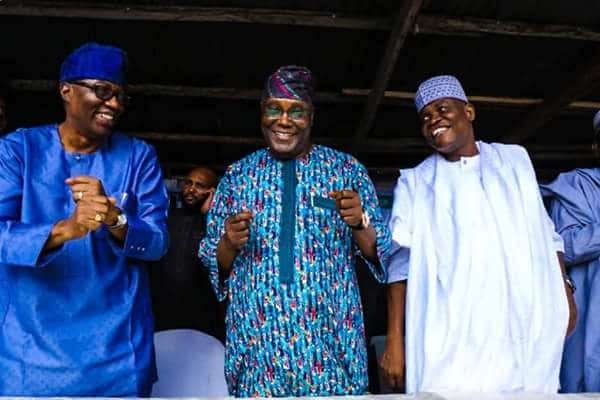 The PDP, through its national public secretary, Kola Ologbondiyan, said that no plot or strategy by the All Progressives Congress (APC) can stop Atiku from reclaiming his mandate. In a statement published on the PPD’s official Twitter page on Thursday, Ologbondiyan said that Nigerians should take not of the many alleged threats put forward by President Muhammadu Buhari’s aides and other APC agents against Atiku. He further dismissed claims by the APC that Atiku paid the sum of $30,000 to a US lobby group to help him get back his mandate. The PDP national spokesman said that it is now obvious to Nigerians who is to be held responsible should any harm come to Atiku. Earlier, We reported that the special assistant to President Muhammadu on social media, Lauretta Onochie, had said Atiku should counsel himself. Onochie, who took to her Twitter page to give the warning on Tuesday, April 9, said Atiku is lucky to be walking free. Legit.ng gathered that the presidential aide stated that she saw Atiku’s pictures with some weird inscriptions. She said whatever the former vice president is planning, he should not forget that Nigeria has a president in place.